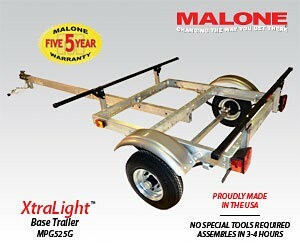 Slightly downsized and loaded with features is the best way to describe the all new 2015 XtraLight™ Kayak Trailer. 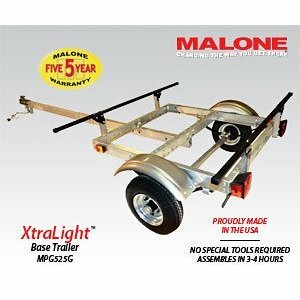 Designed specifically for the recreational and kayak fishing markets, this trailer scores a bulls eye for budget minded customers who want rock solid USA construction. Width - 58", Length - 134"